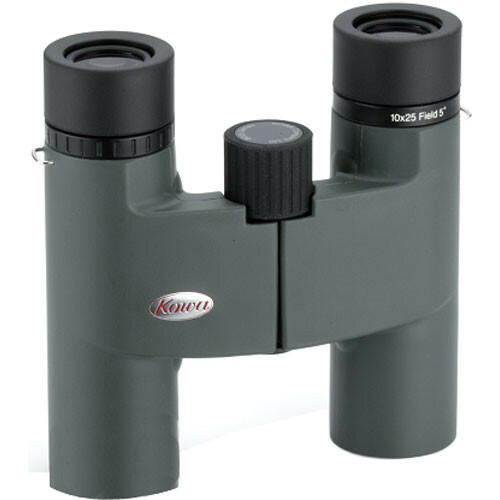 The Kowa 10x25 Roof Prism binocular is intended for the ardent hikers, birders and outdoor enthusiasts. It is lightweight and can be taken anywhere. This compact binocular features phase correction coated prisms to produce great optical performance and delivers brilliantly detailed images. 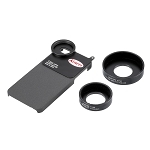 Its multi-layered, highly reflective aluminum coating further enhances sharpness and color accuracy. 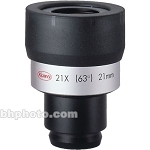 The housing is waterproof and nitrogen dry filled to prevent fogging of the optics during sudden temperature changes. Also, it focuses as close as 5.9 feet and offers comfortable long eye-relief. The binocular's slim body is configured with smooth one axis center focus, and its fine ergonomic design offers comfort and easy handling.